People often complain about the negative social, psychological and physical effects that technology has on their lives. Many claim that it distracts them or their loved ones from tuning into everyday life, while others complain that it has turned their children into socially inept zombies who can’t hold a conversation. No matter what generation, everyone has had moments of cursing the latest gadget or forcing themselves to relearn an old process to keep up-to-date at work or in the classroom. It’s true that all of our apps and conveniences come with downfalls. Just look at the potential uses for Facebook or Snapchat — and the consistent reports of misuse. Now, the new kid on the block, Pokémon Go, has dominated the app world and permeated almost any social gathering’s talk circulating around the newest that our high tech world has to offer. In and of itself, it’s hardly groundbreaking. It’s not a medical advancement, and it’s not going to help your kid test into MIT. But it has sparked the interest of the Mental Health community. A few weeks ago, I began noticing the mention of Pokémon Go in office conversation, in the context of “client resources” at work. People with depression and anxiety are reporting some level of relief from their symptoms as they get out, enjoy the company of friends, or simply take a walk when they otherwise would never have left the house. Some who formerly expressed great difficulty in finding motivation to exercise reported walking miles since the release of the app. Of course, a quick trip to the Mayo Clinic (online, fittingly) reveals the benefits of walking that we all know exist: healthier bones and muscles, improved mood, reducing excess body fat, etc. Surprisingly, it’s not just the physical aspect of this game that has people talking. Friends are using the app together as a guided activity, and strangers are actually finding reason to talk to each other whilst running around catching their favorite Pokémon. 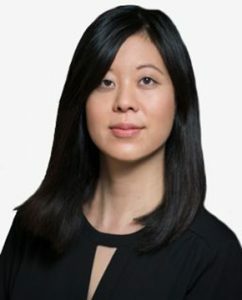 Marlynn Wei, M.D., J.D. of Psychology Today has already touched on the “pros and cons” of playing Pokémon Go, including: “clearly defined goals and step-wise levels” as well as its ability to “ease social anxiety” by creating common ground for players. She also emphasized the game’s natural tendency to activate the brain’s reward system, giving participants an opportunity to engage in an activity that provides satisfaction for something requiring action on their part. Wei drew a correlation between this and behavioral activation, a root value in Cognitive Behavioral Therapy, which focuses on a logical reframing of situations based upon actions, consequences and positive feedback. This app encompasses all of the above. Of course, her report wasn’t all roses. She listed cons such as distraction, detachment from reality, and a heightened stress response too. However, from actual Twitter accounts of people suffering from anxiety and depression, it appears the app is doing far more good than bad. Breaking old habits is painful and difficult, so a little distraction can do a lot to get someone moving. In this case, being glued to your phone is apparently a helpful coping mechanism as it lessens your focus on the discomfort of walking or social interaction, supplanting that with goal-oriented while promoting at least some form of exercise. Whether you catch any or not, I’d call that a win-win scenario.